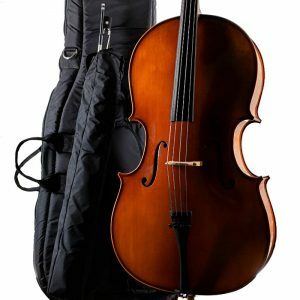 Seery Strings is central Connecticut’s first choice for high quality strings rentals and unparalleled service. Because we believe that children deserve the best musical experience possible, we offer instruments that look and sound great and are exceptionally playable. We offer delivery to schools in Avon, Farmington, and Simsbury. 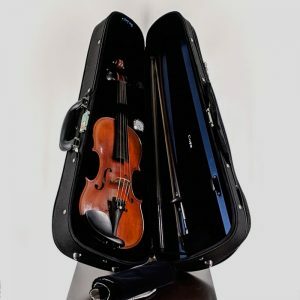 Violin – 3 months is $70 and 12 months is $240. Viola – 3 months is $80 and 12 months is $250. Cello – 3 months is $130 and 12 months is $430. Prices include CT sales tax and basic insurance. The prices listed below are for fractional sized instruments. For complete terms click here. The violin family instruments come in a variety of sizes to enable students to begin their studies at a young age. The sizing is often indicated using fractions, thus smaller instruments are referred to as “fractional.” However, these fractional dilineations can be misleading, a 1/2 violin is not half the size of a full size violin! As a guideline, for violins and violas typically each smaller size is about 1″ smaller than the next size up. So a 3/4 violin has a 13″ body length whereas a full size is 14″. Generally the appropriate size is determined by the teacher, but here at Seery Strings, we are expert in getting the right size for a student. We offer violin rentals in sizes from 1/16-full, viola from 10″- full, and cellos from 1/8-full. Please note that we don’t always have stock of all sizes all the time. Call Jesse for availability.